Of all the dog breeds to be able to draw, the Russian Wolfhound has to be one of the most aesthetically pleasing. 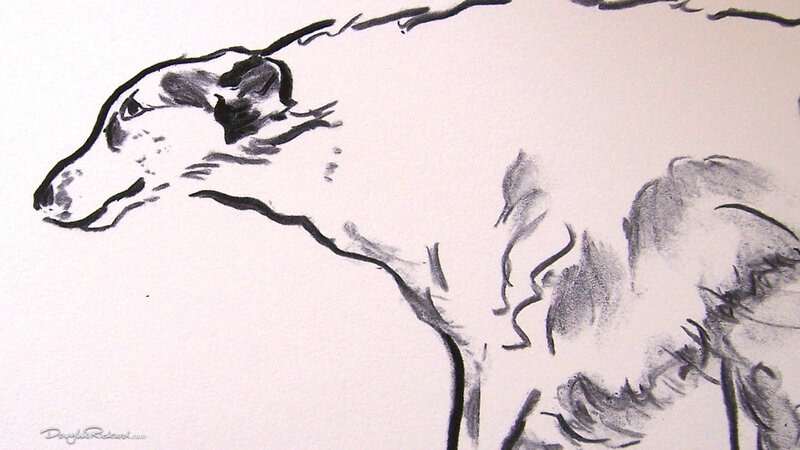 The form and movement of the noble borzoi just lends itself to a flowing delineated charcoal. And the style of my borzoi drawing and the tiny size of one of the prints, connects this art in a way, to the history of Russian Wolfhounds.